There’s an upside to the seemingly endless winter we’ve been having. It’s that I’ve had the chance to try several products that help ease dry skin—the kind that results from cold weather and dry indoor environments—and I’m sharing this with you. Purple Urchin Winter Hand Balm was very effective in calming my dry, cracked hands. 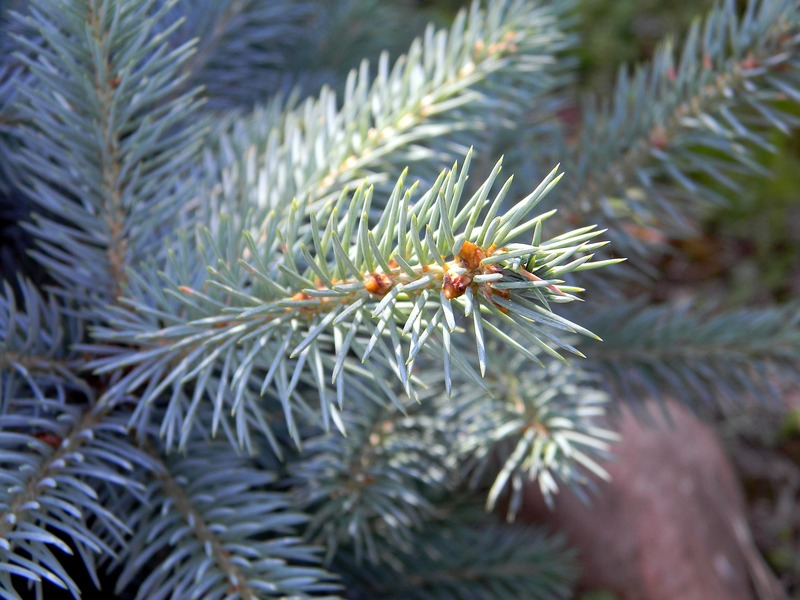 It contains natural ingredients and has a piney-lavendery scent. (It includes almond oil–I mention that in case nut allergies/sensitivities are an issue–and you’re advised not to use it if you’re pregnant.) It isn’t billed as a hair product, but it gave my hair shape in the way a texturizing creme or styling wax would. I picked it up at Westboro Organics, but you can find it at other places around town including Ottawa-based Purple Urchin itself. worldBuzz hair (and body) dressing, made by Toronto-based WORLD, contains just beeswax, jojoba oil, coco crème and olive wax. Just a small amount works like a pomade or wax—but without the parabens, phthalates, sulfates or fragrances that many conventional products contain. It’s great for dry skin, too. I found WORLD products at terra 20. Coconut oil is a great all-round moisturizer for skin and hair. When not warmed up, it’s in solid form, but quickly melts in your hands. As with the other two products above, a little goes a long way. (I picked up some Now solutions “100% natural” vegan unscented coconut oil ages ago at Whole Foods, and still have half a jar left.) You can find organic, non-GMO coconut oil in many stores, from Kardish to Bulk Barn to Loblaws, too. Bonus tip: olive oil and argan oil also work well for both skin and hair. In general, look for products without harmful chemicals: take along a guide to the “toxic ten” or “dirty dozen” substances to avoid, and check ingredient lists when you shop. Often, the fewer ingredients the better. Here’s a way to try out some health and wellness products, hear some excellent music and support a good cause: The Babes4Breasts and Ottawa Integrative Cancer Centre’s silent auction, concert and CDs. A “Babes4Breasts Superfan Package” that includes five Babes4Breasts CDs, two T-shirts a concert poster and more. Other offerings include yoga CDs, sport and therapy passes, grocery and restaurant gift certificates, culinary lessons, health products, spa packages, family portrait sessions, vintage art, framed photos, handmade quilts, Ottawa Grassroots Festival passes, Ottawa 67’s tickets, a signed hockey jersey, ski lift tickets, hotel stays and more. Check out the auction items here: http://oicc2015.eflea.ca/view. The Babes4Breasts Annual Benefit Concert is Saturday, October 24, 2015 at St. Albans Church (King Edward at Daly). It features Ana Miura, Oh Susanna, Amanda Rheaume, Jeremy Fisher and Sarah MacDougall. Tickets have sold quickly, so check out availability here. Even if you can’t get to the concert, you can buy the CDs here. The Ottawa Integrative Cancer Centre, a non-profit centre of the Canadian College of Naturopathic Medicine, provides research, education and complementary therapies (such as nutrition counselling, massage, exercise and yoga therapy) that work alongside conventional treatments (such as chemotherapy, radiation and surgery) in an integrated approach to wellness. 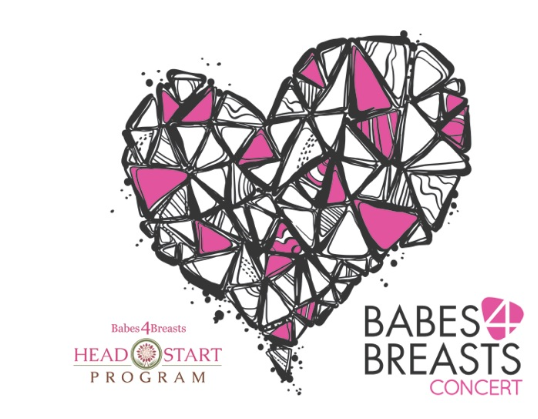 The OICC’s Head Start Program, supported by Babes4Breasts, helps women who’ve been diagnosed with breast cancer—a scary, overwhelming time—and helping ease anxiety and treatment side effects. Babes4Breasts are Canadian recording artists who use music to raise awareness and funds for breast cancer prevention, education and support. Since 2007, they’ve made lot of good music and donated more than $125,000 to breast cancer charities. That’s music to the ears! 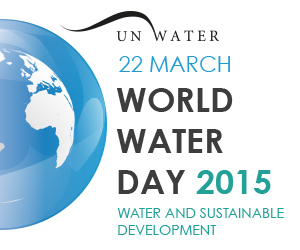 Today is World Water Day, a reminder that water is central to life. The choices we humans make—the water we drink, the food we eat, the products we consume, even the way we vote—all have consequences for water and the earth. 1. Get to know the water around you. Visit one of the city’s rivers. (Did you know that the Ottawa River, the city’s main drinking water source and an important recreation site, is home to more than 300 bird and hundreds of other species?) Learn more about Ottawa’s water and sewage systems and how you can help reduce run-off and sewage overflows (at home, and through the Ottawa River Action Plan). 2. Use environmentally friendly household products. 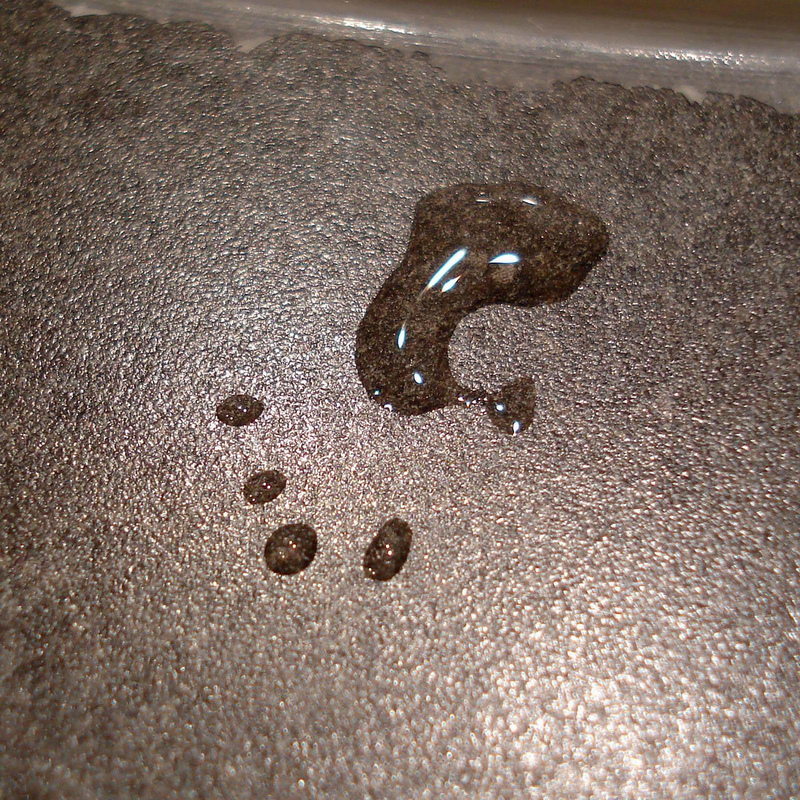 (Did you know that you can make your own cleaning solutions using vinegar or baking soda?) Avoid household and personal care items that contain toxic components such as triclosan, found in some cosmetics and toothpastes, for example. Keep harmful substances from going down the drain and getting into the water system. 3. Check the “water footprint” of commonly-used household items with the help of Ecoholic Adria Vasil and journalist Stephen Leahy’s Your Water Footprint. (Did you know that it takes 400,000 litres of water to make a car, and more than 15,000 litres to produce 1 kg of beef?) Buy secondhand and recycle whenever possible. Participate in the Council of Canadians’ #Pledge2Protect initiative asking the federal government to protect Canadian waterways (take a photo of a lake or river no longer protected by law and send it to your MP, tweet or post it on Facebook). Learn more about the proposed Energy East pipeline through Ottawa and the risks to water from oil spills and from expanding tar sands production. Sign a petition to eliminate microbeads—tiny plastic beads found in personal care products that are showing up in the Great Lakes and other waterways—in Ontario. Check http://environmentaldefence.ca/take-action for other water-friendly actions. 5. Learn more about the right to water and how to ensure that everyone has access to safe water and sanitation. Guest post from Carol Burnup, EnviroCentre. Carol Burnup at EnviroCentre asked Green Living Ottawa to help get the word out about the earth-friendly products available in their recently renovated boutique. 1. Pure Beeswax Candles: Handcrafted in Ontario from pure beeswax by the artisans at Pheylonian Bee Works, beeswax candles make a beautiful and functional gift. Beeswax burns with a bright and hot flame producing none of the toxins associated with paraffin wax candles. 2. Mohair Socks: Made just outside of Ottawa, these socks are warm and comfortable with cashmere-like feel. Theromhair Mohair is not wool and those with wool sensitivities can enjoy these premium quality socks. Great for outdoor enthusiasts, as well as those with poor circulation or diabetes. 3. Organic Cotton Bath Sets: Glo-organics offers the finest quality cotton bath products for your gift giving pleasure. Made in India where cotton has a long history of cultivation, Glo-organics uses only certified fair-trade and organic cotton ensuring that both worker and the environment are respected. 4. Wool Felt Dryer Balls: Wool Felt Dryer Balls from Didi Bahini allow you to give the gift of savings and better health. The David Suzuki Foundation reports energy savings as high as 50% (of dyer energy use) through the use of dryer balls. Our wool felt dryer balls come in a set of four balls and are stored in an attractive crocheted style cotton bag. 5. Abeego Food Wraps: Abeego reusable beeswax food wrap products are made in Vancouver from hemp, cotton, beeswax and tree resins, Abeego food wraps can be used many times and eliminate the use of petroleum based, non-recyclable food wrap. 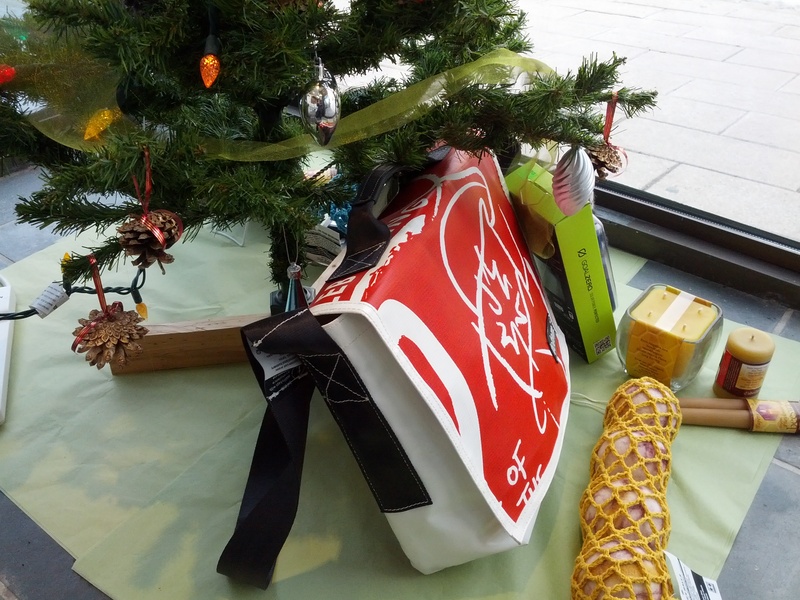 Abeego wraps keep food fresher and are a functional gift that you can give with pride. EnviroCentre is the go-to source of practical services and programs that help individuals and organizations conserve energy, improve environmental health and act more sustainably. Building Energy Efficiency: We offer energy assessments and energy retrofit solutions for your home, business or property. Sustainable Transportation: We offer workshops, tools and incentives to help you or your organization discover the benefits of transit, biking, walking, carpooling or car sharing. EnviroBoutique: We sell environmentally-friendly products related to energy efficiency and sustainable transportation and are an e-waste drop-off centre. For more information on the services and programs we provide, please visit envirocentre.ca. In my quest to find healthier and more sustainable personal care and household products, I’ve come across a few that I’d like to tell you about. As you know, many of the soaps, shampoos and cosmetics available on store shelves contain substances that have been documented as harmful to human health and the environment. According to Bruce Lourie and Rick Smith, authors of Slow Death by Rubber Duck: How the Toxic Chemistry of Everyday Life Affects Our Health and Toxin Toxout: Getting Harmful Chemicals Out of Our Bodies and Our World, synthetic chemicals such as phthalates and parabens are among the toxins that find their way from consumer products into our bodies and our ecosystems. Oneka shampoo, conditioner and shower gel. By happy circumstance, I received an Oneka gift pack after entering a contest on the website of local writer Tudor Robins. (Tudor blogs on writing and occasionally on environmental and community issues–check out her website here. She’s a wonderful writer, with an engaging young adult novel called Objects in Mirror, and a second novel, Appaloosa Summer, out this spring.) 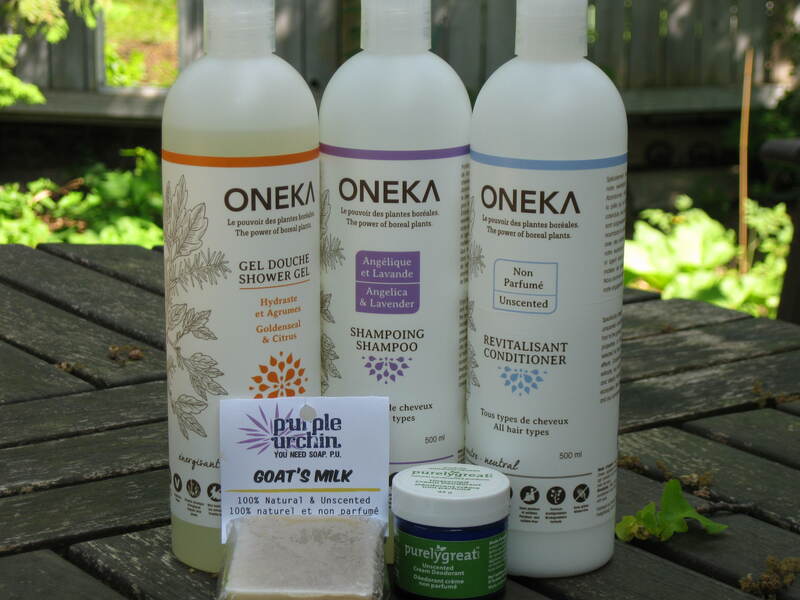 Thanks to Tudor and Oneka, I’ve tried out Oneka’s angelica and lavender shampoo, unscented conditioner and goldenseal and citrus shower gel–all great. Oneka’s products are organic plant-based, paraben-free and sulfate-free, vegan, biodegradable and not tested on animals. 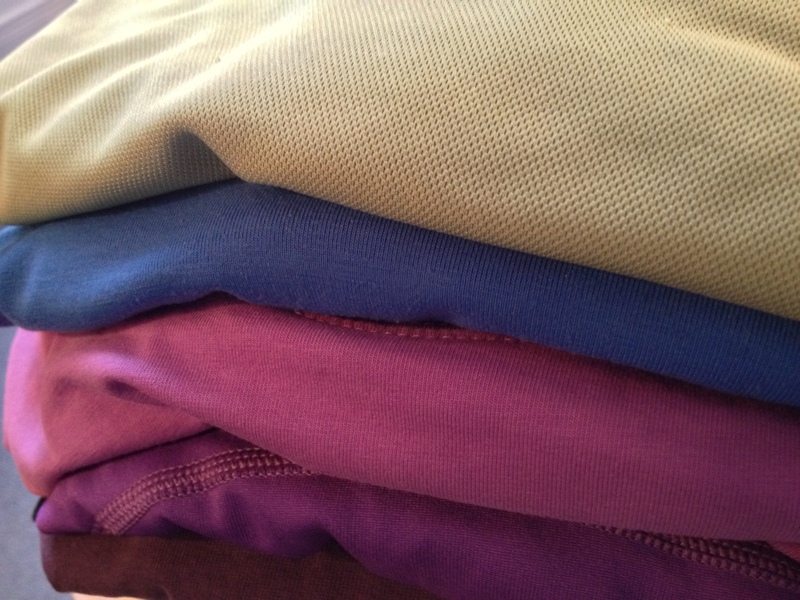 Some are unscented, a must for those of us with scent sensitivities. The company, located southeast of Montreal in Frelighsburg, was founded by Philippe Choiniere and Stacey Lecuyer, who’ve had sensitivities themselves. You can find their products at Market Organics and sometimes Rainbow Foods, or order online. Purple Urchin soap. Purple Urchin is based right here in Ottawa, and makes handmade natural, biodegradable and vegetarian–some vegan–products, also not tested on animals. I picked up some of their soap at terra20. Purple Urchin bar soaps come in a variety of ingredient combinations (think “Luscious Lemongrass” or “Coffee Bitters,” for example) but I went for the unscented Goat’s Milk bar, which is nice and creamy without being oily. Purple Urchin’s soaps, shampoos, facial and other products are available at their shop (884 Somerset St. W.) and quite a few other spots around town. Purelygreat deodorant. I have to say this is an amazing discovery. Many “green” deodorants aren’t very effective, but this one works really well. It was recommended by a customer service staff person at terra20 in Wellington West, who told me it works even for her hockey-playing brother. It’s an unscented, cream deodorant, containing only sodium bicarbonate, zea mays (corn) starch and glycerin. You have to stir it on opening, and you apply it with a finger—but don’t let that stop you; you get used to that quickly, and it’s not much different than applying some other cosmetics. Purelygreat is located in Toronto; several Ottawa shops sell their deodorants. 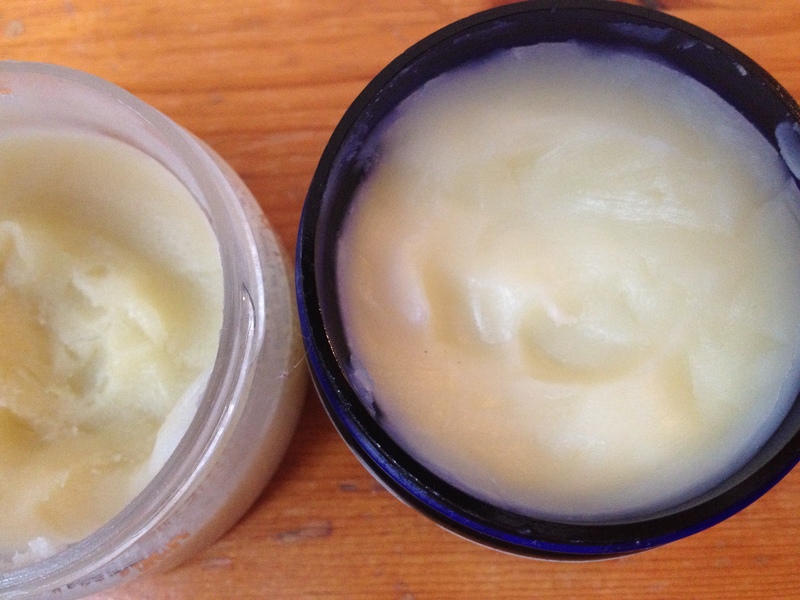 You can even make deodorant yourself, if you’re so inclined—check out the recipes on the A\J blog. Have you found any other great personal care products? Please let us know in the comments section.